Valerian (Valeriana officinalis) is an herbaceous herbal perennial that is native to Europe and western Asia. It is popularly used as an herbal medicine as its roots have anxiolytic and sedative properties. The name derives from the Latin word for "strong and healthy": valere. It is a member of the 800 strong Caprifoliaceae family – having been previously classified into Valerianaceae. It is therefore closely related to species such as Centranthus, Patrinia, Weigela florida, and Linnaea. Valeriana itself contains around 230 species, and some of the more frequently grown types include Valeriana celtica (Alpine valerian), Valeriana dioica (marsh valerian), and Valeriana wallichii (Tagar-Ganthoda). Valeriana officinalis is one of the three major species of Valerian that are used in the pharmaceutical industry. Their dried roots contain up to 2% w/v of essential oil made up of over 150 compounds, including valepotriates. The composition of the oil is dependent on environmental impacts, and especially on climate and soil-type. 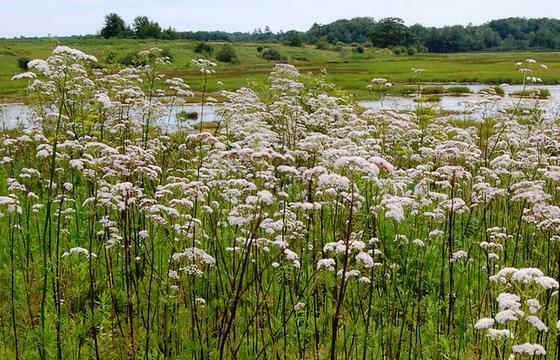 For herbal use, Valerian is usually taken infused as a tea, or as a tincture. One of the major traditional uses of Valeriana is a sleeping aid, and its sedative properties have been known for thousands of years (since the time of the Ancient Greeks). It is commonly used for people who suffer lack of sleep through nervousness. Furthermore, it is used in the treatment of abdominal and uterine cramp, and grown commercially to produce tranquilizers and perfumes. 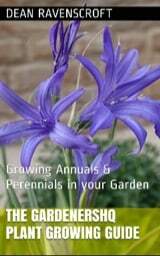 It can be grown for both herbal and oriental purposes in the garden. Valeriana plants are fragrant. The odor of the plant's roots are very strong and attractive to cats in a similar way to Nepeta (catnips). Valerian also attracts butterflies and moths to the garden. They make good cut flowers, and can look good as part of a border, or in a herbal or cottage garden. Valeriana officinalis is a clump forming perennial that grows to a height in the range of 40 to 60 inches (100–150 cm), and has a spread of around two to three feet (60–90 cm). Valerian in the wild by InAweofGod'sCreation. Basal leaves are opposite and pinnate; they have lance-shapes toothed leaflets, and are hairy below. Stems are tall, upright and stout. Plants bloom from late spring through the beginning of summer. Flowers are fragrant, five-petaled and white, with a hint of pink. The flowers are densely clustered and narrow-tubed. Valeriana officinalis can be grown in zones 4–9. Grow in a sunny area. If grown in a lightly shaded area then stems may become floppy, and require staking. Although plants can grow in an average soil, they will perform best in a moist humus rich loam that has good drainage, and a pH of 6–7. Ideally, soil should be phosphorous rich (or supply a fertilizer), leaves will turn purple if there is a phosphorous-deficit. Sow seeds directly into their final location before the last frost. Simply push the Valerian seeds into the soil. Do not cover them as they require light and a temperature of 68 to 70°F (20–21°C) to germinate; this takes from one to two weeks. Plants can also be started off indoors, about 10 weeks in advance. Transplant seedlings at a spacing of 16 to 24 inches (40–60 cm) after the last frost. Plants can also be propagated from root cuttings in the spring or autumn / fall. Valerian grows best in moist conditions, so supply plenty of heavy watering. 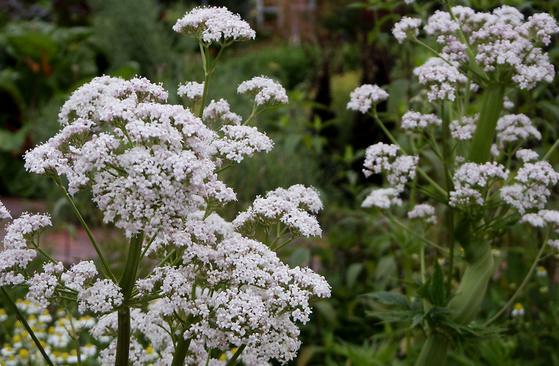 If growing garden Valerian for use as an herbal remedy, then roots are best harvested in the first or second year, ideally the latter, as that is when they are at their peak. The quantity/quality of valepotriates diminishes rapidly after this time, so there is little point in harvesting roots from plants over two years old. Plants can grow vigorously. Prevent spread by deadheading flowers before seed-set. Can also spread by rhizomes – may become invasive in the right conditions. Known diseases include powdery mildew, root rot, edema, white mold, and root rot.